The Equus carries into 2016 with no significant changes save a new hands-free "Smart Trunk" opener. 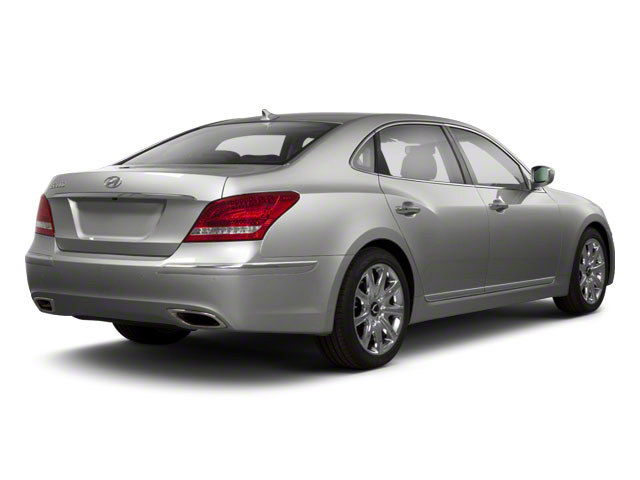 The Hyundai Equus is a large, comfort-oriented rear-wheel-drive luxury sedan, offered in two trims: Equus Signature and Equus Ultimate. Both come with a 5.0L V8 engine, as well as a long list of luxury and safety features that closely match the offerings of other top luxury sedans. The 429-horsepower V8 "Tau" engine in the Equus incorporates high-pressure direct injection, dual continuously variable valve timing and tuned induction to produce a remarkable combination of power and efficiency. An 8-speed automatic is mated to the V8 and allows manual control and a wide span of ratios. Although the Equus is clearly geared more toward comfort than performance, its powerful engine, rear-wheel-drive layout, stiff structure and user-selectable suspension allow some latitude for enthusiastic driving. The combination of a 5-link rear suspension geometry and Continuous Damping Control helps keep the wheels firmly in contact with the road surface, without bringing too much harshness into the cabin. The air suspension system includes a selectable Sport setting for curvy roads, as well as a new Snow mode for optimal control in wintry conditions. The big 4-wheel disc brakes as well as electro-hydraulic power steering and a reasonably tight turning circle help give the Equus a tidy, manageable feel on the road. The Equus comes with a total of nine airbags, including roof-mounted side-curtain bags that cover those in front and in back, plus a driver's side knee airbag. It's also loaded with some of the top safety technology, including a lane departure warning system, smart cruise control and parking-assist cameras. Standard intelligent cruise control includes an engine stop/start function for use in stop-and-go traffic. With soft leather, real wood trim, leather-wrapped, French-stitched seats and even a suede-like Alcantara headliner, all in a quiet, isolated cabin, the Equus is every bit a luxury car. Front seats are heated and cooled and are soft, wide and supportive. A massage function is included for the driver's seat. Base Equus Signature models include nearly all the bells and whistles, including the air suspension, front and rear parking assist, smart cruise control, HID headlamps, adaptive front lighting and a heated wood-and-leather steering wheel. A Lexicon Logic 7 surround-sound system is also included and features 17 speakers, 13 channels and 608 watts of power. The system includes HD Radio, XM satellite radio and full iPod integration. Equus Ultimate models bring the Equus into limousine territory by including a rear-seat entertainment system with dual 9.2-inch high-resolution displays, a refrigerator, cooled and reclining rear seats with outboard power lumbar support, power rear headrests, rear-seat massage adjustable leg support, a power trunklid with an automatic opening system, automatic power door closure assist and a forward-view parking and cornering camera system. 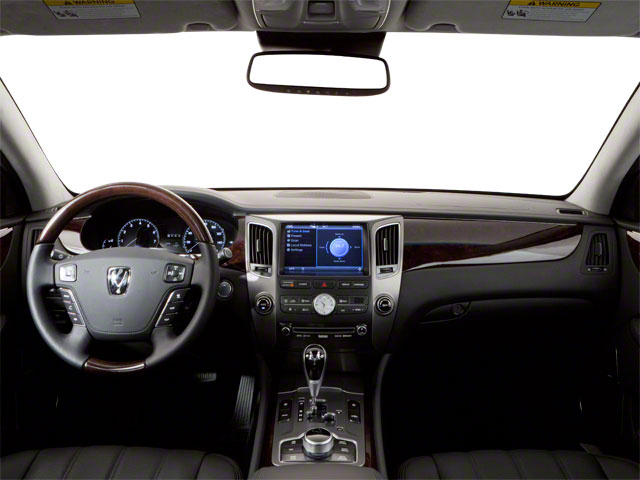 The Equus' refined cabin is highlighted by a 7-inch LCD center display on Signature models and a 12.3-inch center display on Ultimate models, with driver menus accessible through steering wheel controls. The Equus is Hyundai's luxury flagship, aimed directly at the top models from other luxury brands, including the Lexus LS and Jaguar XJ, but costing thousands less. The V8 in the Equus, which makes 429 horsepower, is Hyundai's most powerful engine ever -- and more powerful than the engines in the Lexus LS 460 and Mercedes-Benz S550. The Equus' 8-speed automatic transmission enhances performance while still managing to return an EPA-estimated 24 mpg highway. 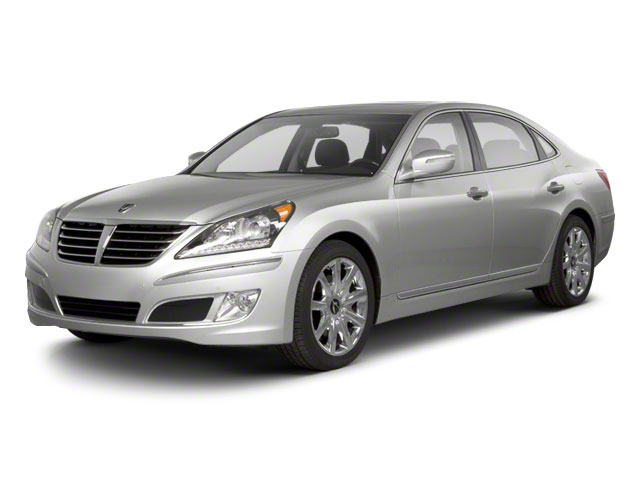 There are yet other reasons why the Equus stands out from the luxury pack. 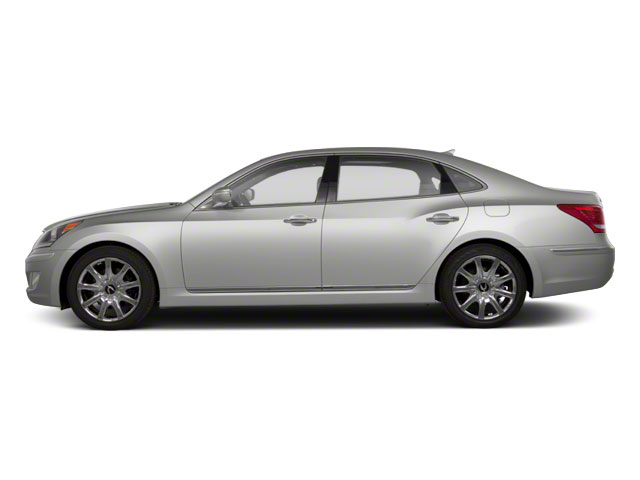 According to Hyundai, the Equus has more leg, head, and shoulder room, both in front and in back, than the Lexus LS 460. It's also a standout for safety features, and an IIHS Top Safety Pick.